Raymond Swing Reach Forklift — Brownlie Design, Inc.
Raymond Swing Reach Forklift is designed for use in high-efficiency, narrow aisle warehouses. The product maximizes operator efficiency and comfort. 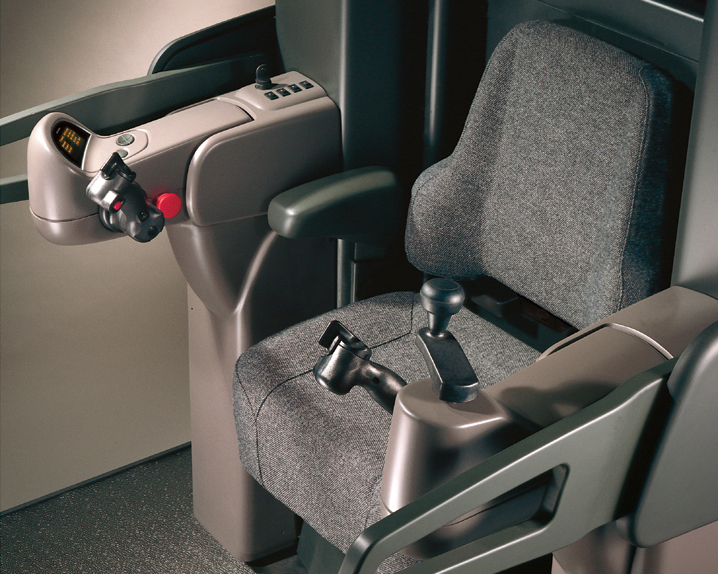 Hand controls were placed to optimize comfort, and seating is fully adjustable to reduce fatigue and accommodate a wide range of operations and operators. The design provides improved visibility and integrates a fully interactive navigation computer. The visual theme reflects these ergonomic advances with curved, inviting forms.